The Kenya cricket team that will take part in the ICC Africa World Cricket League tournament scheduled to be take place from 23rd February to 1st March, 2013 in Kampala, Uganda has been named. Ragheb Aga and Dominic Wesonga will be making a return to the team. Ragheb Aga had featured against Ireland last year. 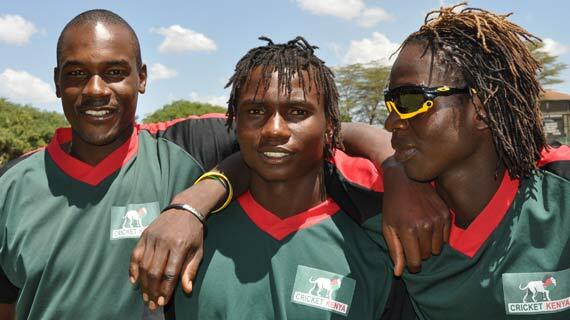 Batsman, Wesonga last featured for Kenya in the Twenty20 tournament against Namibia in Windhoek. Cricket Kenya on Tuesday named a 14-man squad that will be seeking to win the tournament and progress to the 2014 World cup qualifiers. Kenya will compete against hosts Uganda, Tanzania, Nigeria and Botswana. The tournament will be contested in a round-robin format where teams will play each other twice with the top teams making the cut for the qualifiers.